Buy your favorite Kohain a present! Thanks to A Simple Jew for forwarding this to me! Um... Maybe it's a step forward? Egypt's Muslim authorities have stepped in to keep a wave of anti-Semitic sentiment from getting out of control, disowning an edict by a firebrand cleric calling for Israeli Jews to be killed. On the eve of last week's truce in the month-long war between Israel and Hezbollah, cleric Safwat al-Higazi issued an edict calling on worshippers to kill "any Zionist anywhere in wartime". Speaking on the religious satellite network Al-Nas, the Cairo imam specified that the use of "fire arms, knives and poison" should be preferred to suicide bombings "in order to spare innocents". Higazi later limited the edict to Israeli Jews, whom he said were all reservists in the army and therefore legitimate targets. 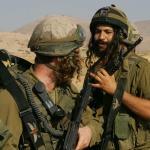 "I myself am ready to slash the throat of any Israeli I meet," he told the Sawt al-Umma newspaper. Popular resentment over the Israeli offensive in Lebanon is close to boiling point in Egypt, one of only two Arab countries to have a peace treaty with the Jewish state. Al-Azhar mosque, the leading theological authority for many Sunni Muslims, had to step in with a counter-fatwa and banned Higazi from preaching at Friday prayers. "Killing Jews on the Egyptian territory would be a terrorist act," said the edict, issued three days after Higazi's. However, the Al-Azhar fatwa said nothing about killing Jews in other countries. Elul is a time for spiritual growth. Instead of apples and honey and fish heads, let's make sure we are truly prepared for Yom Ha-Din. Cheese off a Neturei Kartanik... today! Donate to the Nahal Haredi! Nahal Haredi was founded on the premise that physical strength alone is not enough - the spirit of Torah and Mitzvot must underlie all that is achieved. The Nahal provides religious men who seek to contribute to Israel's military defense with a framework for personal and professional achievement that in every way promotes a Torah-true lifestyle. Nahal Haredi was created in 1999 by a group of rabbis in cooperation with the Israel Defense Forces and the Ministry of Defense, as a venue for young men who wish to serve the national interests of Eretz Yisrael while adhering to the highest religious standards. From a small unit of 30 soldiers, Nahal Haredi has become an IDF battalion of close to 1,000 troops, and now aims to reach the requisite threshold for designation as a fully operative infantry brigade. Nahal Haredi continues to develop and implement programming designed to provide military, educational, and economic opportunity to Israel's growing Haredi community. David E. Bonior, DEMOCRAT, Mich.
Gary A. Condit, DEMOCRAT, Calif.
John Conyers Jr., DEMOCRAT, Mich.
Peter A. DeFazio, DEMOCRAT, Ore.
John D. Dingell, DEMOCRAT Mich.
Earl F. Hilliard, DEMOCRAT, Ala.
David R. Obey, DEMOCRAT, Wisc. Thomas E. Petri, REPUBLICAN, Wisc. Nick J. Rahall II, DEMOCRAT,W.Va. Fortney Pete Stark, DEMOCRAT, Calif.
Are you the villains that the world sees you as? Are you oppressers and occupiers? Are you murderers and warmongers? You are children of the Lord, your God... you are a holy people to the Lord, your God, and the Lord has chosen you to be a treasured people for Him, out of all the nations that are upon the earth. I am sickened by the UN and their anti-semitic policies. It is time to disband this impotent organization that panders to terrorists. In closing... I think we should also dissolve France. French Defense Minister Michele Alliot-Marie on Friday defended France's decision to send just 200 additional troops to reinforce the U.N. peacekeeping force in Lebanon and reiterated that the force needs a clear mandate to operate effectively. "I can't let it be said or implied that France is not doing its duty in the Lebanese crisis," the minister told French radio RTL in an interview. Alliot-Marie said troop contributions to the expanded UNIFIL force should come from a great number of countries, both in Europe and the Muslim world. "What we must absolutely avoid is giving the image of a Western world imposing peace on the Muslim world," she said. In an article in the Egyptian government daily Al-Ahram, Egyptian Mufti Sheikh Dr. 'Ali Gum'a expressed his support of the resistance in Lebanon and stated that the lies of the "Hebrew entity" expose "the true and hideous face of the blood-suckers... who prepare [Passover] matzos from human blood." Kudos to MEMRI for their good work! Terrorists and Leftists - such a nice couple! Click image on left for full size. 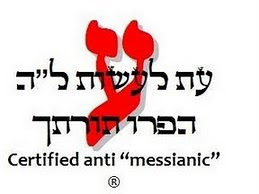 I am planning on going (unless Mashiach is here then it will be moot). I urge all my Kohanic and Levitical brothers and sisters to make plans to attend. Recent scientific research and DNA testing has shown that today’s descendents of the biblical priesthood known as Kohanim are genetically related. Although the descendents of Aharon, the brother of Moses, have spread throughout the world over the past 3,300 years, the members of this extended family are being invited to participate in the first ‘family reunion’ held since the destruction of the Temple in Jerusalem in 70 CE. 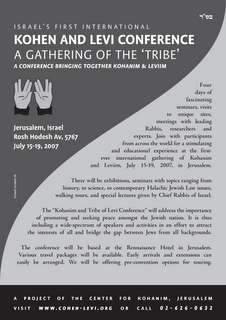 Participants from across the world will join tribe members for a stimulating and educational experience at the first ever international gathering of Kohanim and the Tribe of Levi, July 15-19, 2007 in Jerusalem. These dates coincide with the biblically noted date of Aharon the High Priest’s death, the first day of the Hebrew month of Av. The “Kohanim and Tribe of Levi Conference” will address the importance of promoting and seeking peace among the Jewish nation. The program will thus include a wide-spectrum of speakers and activities in an effort to attract the interests and bridge gaps between Jews from all backgrounds. Kohanim are the priestly family of the Jewish people. The Torah describes the anointment of Aharon, the brother of Moses, as the first High Priest. 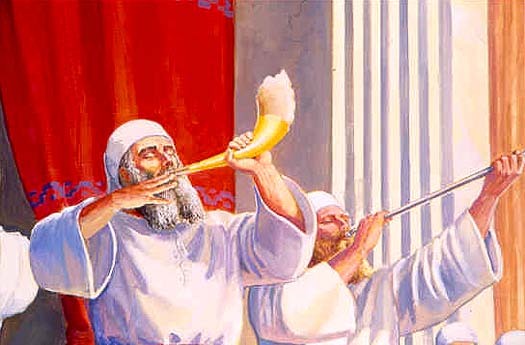 The books of Exodus and Leviticus describe the responsibilities of the Kohanim, which include the Temple service, blessing of the people and spiritual healing. The Kohanim are a family of the Tribe of Levi, the tribe that was chosen for Holy service. 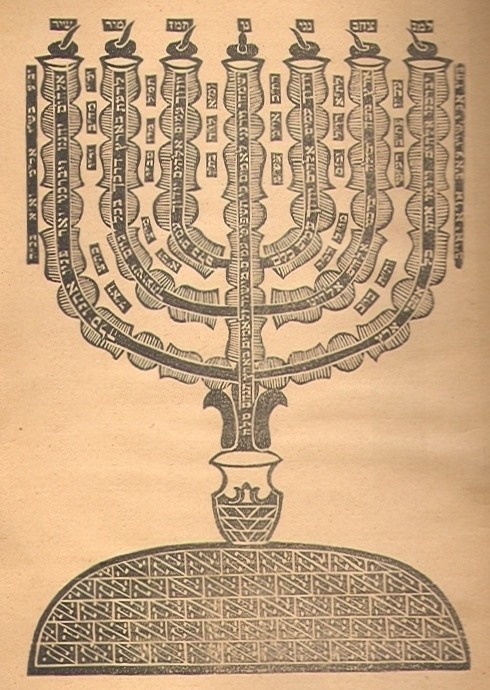 Molecular geneticists have recently discovered the “Cohen Modal Haplotype” which is a Y- chromosome DNA lineage signature shared by a majority of both Ashkenazi and Sefardi Kohanim. This indicates a direct patrilineal descent of present day Kohanim from a single ancient ancestor, genetically dated to have lived approximately 3300 years ago, a time corresponding to the Exodus from Egypt. "And what have you to do with Me, O Tyre, Sidon, and all the districts of Philistia? Are you avenging yourselves against Me? Or if you are initiating aggression against Me, I will very swiftly punish you for what you've done. You took My silver and gold, and carried off My precious treasures to your temples. You sold the children of Judah and Jerusalem to the Greeks in order to distance them from their homeland. But I will rouse them out of the place to which you sold them, and I will punish you in kind..."
August 22 - are you prepared? "The day will come when all humans will congregate before the court of the Almighty, so that their deeds are examined, The good will be directed towards Heaven and evildoers will meet divine retribution. I trust both of us believe in such a day, but it will not be easy to calculate the actions of rulers, because we must be answerable to our nation and all others whose lives have been directly or indirectly affected by our actions." I was in my parents home with my wife and kids. I saw the face of a beautiful woman hovering in the air. I knew it was the Holy Shechina. Suddenly the face began to glow and I turned to my wife and said "The prophecy has been fulfilled." Then we looked outside the window and saw a nuclear holocaust begin. Mushroom clouds were everywhere and there was total destruction. We tried to walk outside but the radiation had burned a hole in the ozone and the sun was burning our skin. Then a large group of people came to me for help and advice. I was filled with Ruach HaKodesh and began to prophesize. I was not in control of my speech and when they asked me "what will be?" I could only utter one word which came out in a hoarse voice. The word I said was "death." and I don't mean of the war. Hey, thanks for the achdus, Yankif. I'm sure G-d is pleased. Allah Pundit has the whole megilla of the London terror plot. 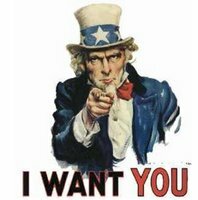 What happened to the Truman/Kennedy Democrats of old? When did the party get hijacked by Jew hating liberals who crave the destruction of Israel? When did supporting terrorism and Islam-fascism become left wing causes? [Today] is the Jewish day of joy and love called Tu B'Av, the 15th of the Hebrew month of Av. Though required observance of the day has been reduced to omitting the confession prayer from daily prayers, the Talmud (Taanit 30b-31a) describes Tu B'av as one of the most festive days for the Jewish people during the time of the Holy Temple in Jerusalem. One practice described entailed single women lending each other simple white garments, in order that the wealthy not be differentiated from the poor, and dancing in the vineyards around Jerusalem. "And the daughters of Jerusalem would go out and dance in the vineyards located on the outskirts of the city. And everyone who didn't have a wife would go there," the Talmud states. "And what would they say?" "Other joyous aspects of Tu B'av include:* During the Jewish people's 40-years in the desert, female orphans with no brothers could only marry within their tribe. On Tu B'Av of the fortieth year, this ban was lifted. * Also during their time in the desert – the men of the generation that accepted the ten spies' negative report about the Land of Israel would die each year on that day. It was well known that the Jewish people would not enter the land while members of that generation (barring Joshua and Caleb) were still living. In the fortieth year, the dying ceased and it was clear the Jewish people would be entering the Land of Israel in the near future. * It was also on Tu B'av that the Tribe of Benjamin was allowed to marry the other tribes of Israel once more following the incident with the murder and mutilation of the Concubine of Giv'ah (Judges 19-20). * King Hosea, the king of the Northern Kingdom, removed the restrictions of King Yeravam prohibiting the northerners to make pilgrimages to Jerusalem (Kings I 12:29, Kings II 18:4). * It is the last day in the series of nine wood offerings to the Temple. * The Roman occupiers of Israel permitted burial of Bar Kochba's Jewish rebels from Beitar on Tu B'av. The bodies, although lying exposed for over a year, were found miraculously to have not decomposed at all – a traditional Jewish sign of righteousness. Many Jewish weddings take place on the 15th of Av, and secular Israelis celebrate the day, calling it Love Day. Lectures and workshops on everything from relationship to preparing the incense for the Tabernacle, which rested in Shilo, will take place throughout the day. Musicians and performers will also be located throughout the town and tours of the region available as well. Today is also the Yahrzeit of Nachum Ish Gamzu who is buried in Tzfat. He was the mentor of Rabbi Akiva and always held "Gam Zeh L'Tova." This too is for the good. It's hard to focus on the good during these trying times. But we must. Yesterday I was etremely stressed after hearing some bad news. As I drove,I had my hands clenched to the steering wheel and I noticed that my face was distorted in anger. I began to think about the situation and realized that I am not in control and what seems like "bad news" now could very well be seen as good and neccessary in hindsight. I decided to relax and made the choice to smile for no good reason. That small act actually changed my mood. We don't know what Hashem has in store for us. He's brought us this far. Gam Zeh L'Tova. Despite a High Court decision, Jerusalem's Temple Mount, Judaism's holiest site, was closed to Jews on the Fast of Tisha B'Av, which mourns the destruction of the Holy Temple. Despite the fact that the Mount represents the focal point of the fast, only Muslim woman and Muslim men over the age of 45 were permitted entry Thursday. But following threats by Arab MKs and Islamic Movement officials, Police barred not only members of the group – but all non-Muslims. They said the decision was due to a fear of violent clashes between Temple Mount Faithful activists and Muslim protesters. Police detained one Jewish man who requested to be allowed to visit the Temple Mount Thursday morning, claiming he obstructed the entrance to the Western Wall to worshipers. Observant Jews have begun visiting the Temple Mount in larger numbers in recent years, but are encouraged to consult with a rabbi knowledgable in the related issues to receive instructions on proper preparations for the visit. We seem to be down to the wire of exile. So much is happening. 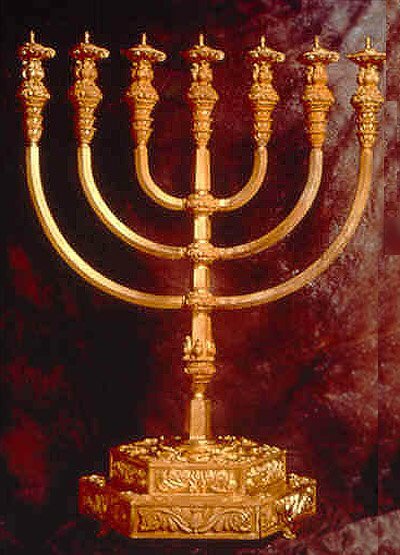 May Hashem make this fast into a feast and may He rebuild his house on this day.